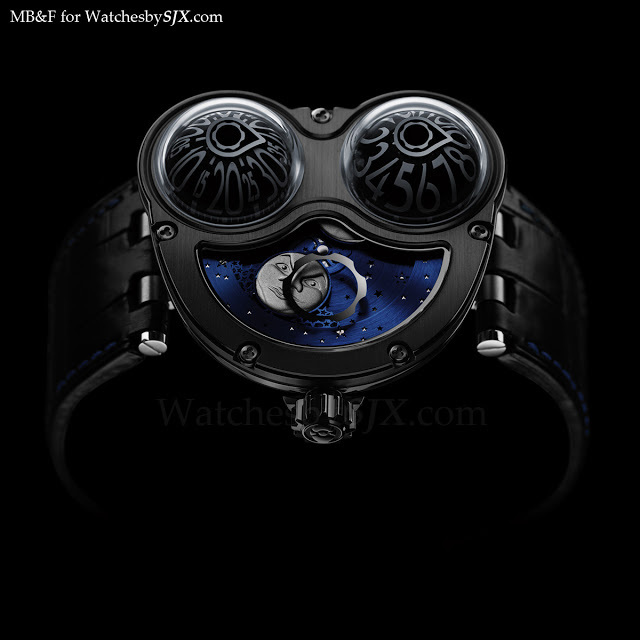 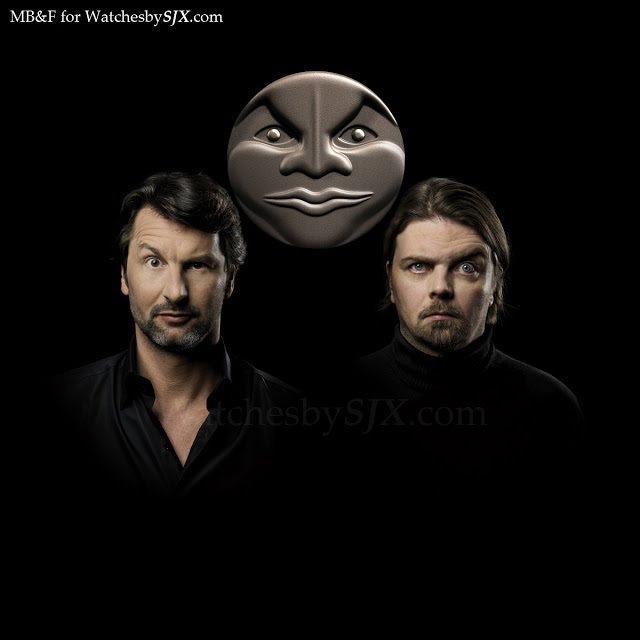 MB&F has just unveiled the Moonmachine. 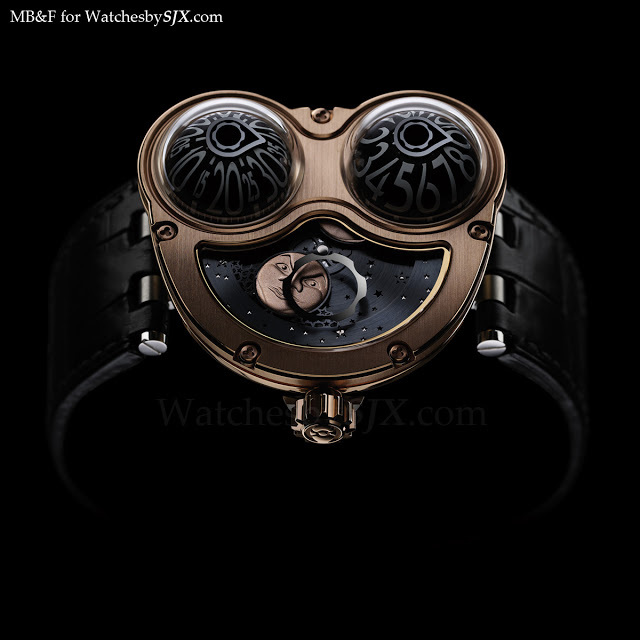 This is a result of Maximilian Busser’s collaboration with Finnish watchmaker Stepan Sarpaneva best known for his mildly menacing moonphase display. 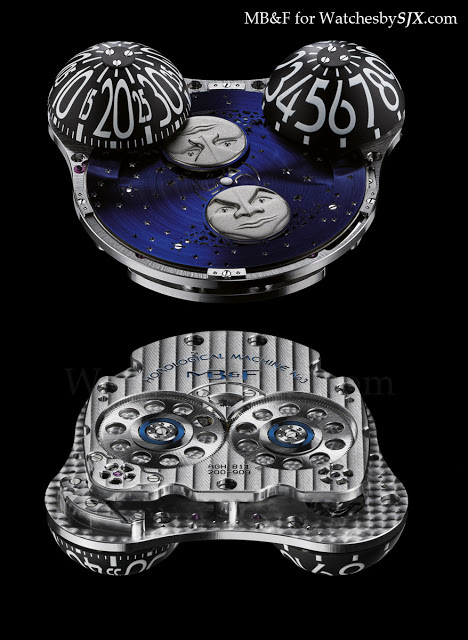 The moonphase is set against a plate with laser cut constellations for a very dramatic look. 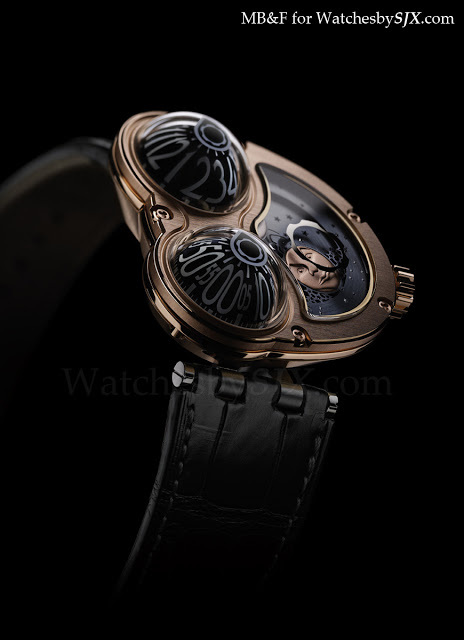 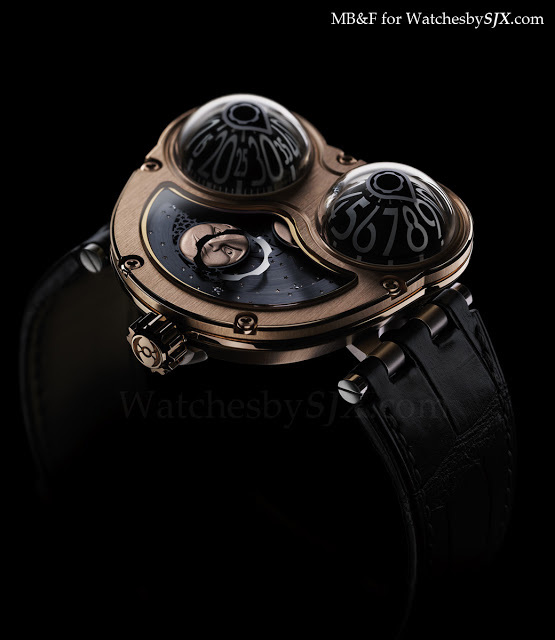 And the time is indicated in the same as that on the regular HM3 Frog, with two rotating aluminium domes under sapphire. This video illustrates the details of the watch and motion of the moonphase well. 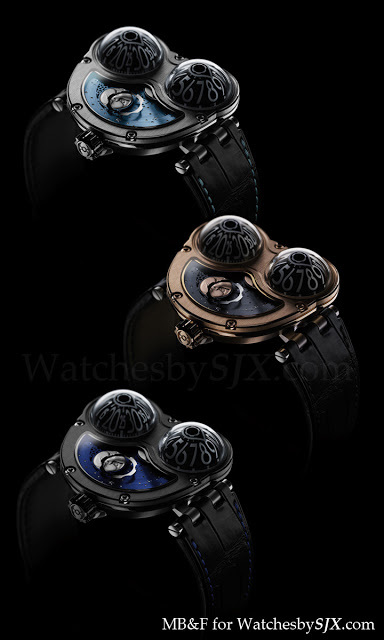 This will be made in three editions of 18 pieces each – titanium, black coated titanium and red gold. 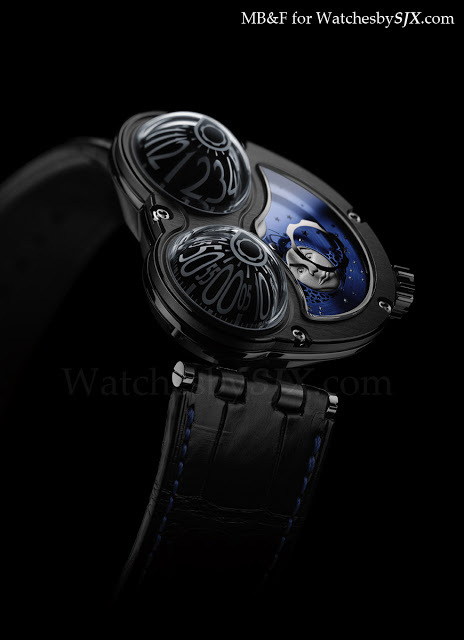 the black titanium with the blue constellations looks the most striking. 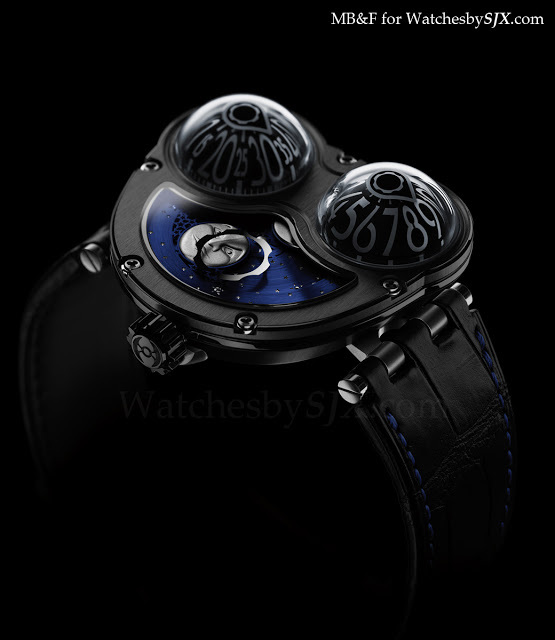 Retail will be CHF84,000 before tax.